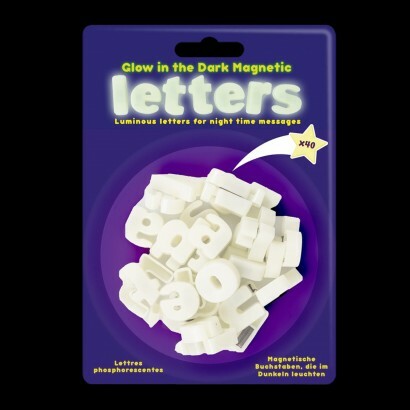 Use magnetic letters to write messages and see them glow in the dark with these brilliant glow letters! The full alphabet is represented with multiple vowels and popular letters so that you can spell out words on magnetic surfaces such as fridges, radiators and magnetic boards leaving glowing messages. Brilliant for fun, for glowing treasure hunts and for word and letter play. Allow letters to charge in the light before displaying in pitch black conditions for best effects. 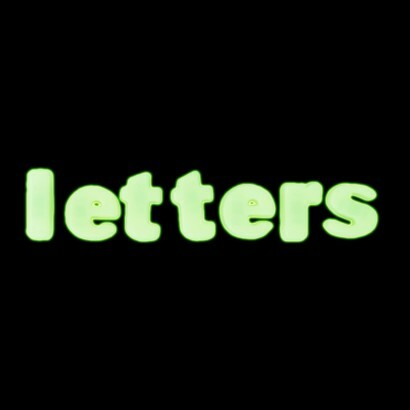 Find out more about how glow in the dark works to get the best from your glow letters.